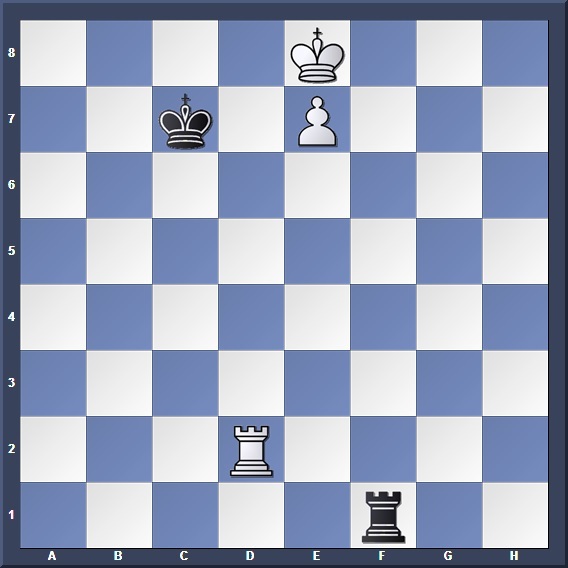 The question was, how would Black respond after 16. Bxg6? At first glance it seems he is in trouble. His pawn structure is ruined, with a backward e6 and doubled g-pawns. But the main problem is that gaping g-file before his king. If White tries something like Rg1 followed by Qd2 and O-O-O, he would double rooks on the g-file and give Black a very unpleasant time. 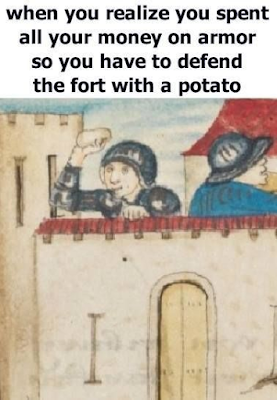 The d3 hole is an ideal outpost for Black’s knight. Again, the uncastled White king plays into Black’s hands, with the tempo gaining check … Nd3+ being a possibility. 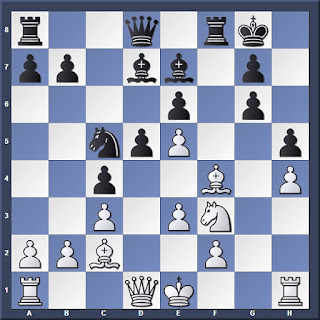 However, the square is guarded by White’s light-squared bishop, so it is best for Black to trade it off (e.g. after 16. Bxg6 Be8). So we spent a good few minutes debating on who is better. Indeed, while Black may have the advantages listed earlier, they may not come in time to save Black from a determined kingside attack. If I were to unleash Deep Fritz/Stockfish for a deep analysis, the silicon monsters would likely give a huge plus for White, simply because of Black’s incredibly exposed king. But does that mean Black should resign if we conclude White is better? Definitely not. He still has potential to create lots of problems for White using the advantages we described earlier. For example, after 16. Bxg6 he could continue 16… Be8 attempting to trade the light-squared bishops, before playing … Nd3+, and even a possible rook sacrifice on the f-file to unleash a counterattack against White’s uncastled king. Even if the engines calculate that White’s attack would crash through first, what is the likelihood a human opponent would play perfectly? Especially in a sharp, unclear position like the one we see? Apart from the fact that doubled pawns provide an open file to play with, and that you should think twice before you exchange, what can we learn from this game? It is that you should not give up simply because a position is theoretically not in your favour. We are taught to analyse positions, to determine based on a number of factors (e.g. open files, king safety, material) who has the advantage. We learn different types of endgames, and how each of them is a win or draw with accurate play from both sides. That’s chess theory for you. Then, we may ask, what is the purpose of finding out who is better? 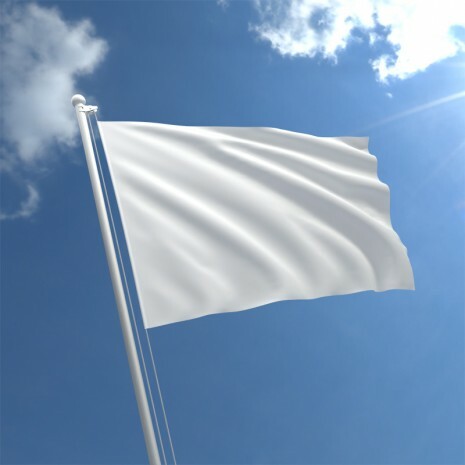 To resign when you are losing, or to claim a victory when you are winning? Sounds weird to do so, but that’s what many people actually think. They would determine that a position is better for so and so, then finish off by saying so and so would win without suggesting a concrete plan for either side. A plan based on the positional/tactical elements both for and against you, regardless of whether you are losing or winning. That means if you figure out that a game is not going well for you, you do not throw in the towel so quickly. Instead, you should be figuring out how to generate counterplay in order to equalize. Likewise, if you have an advantage in your game, you still need to figure out a plan to convert it. And chances are your opponent is going all out to create problems for you in his/her attempt to find a counterattack. I give a simple example. 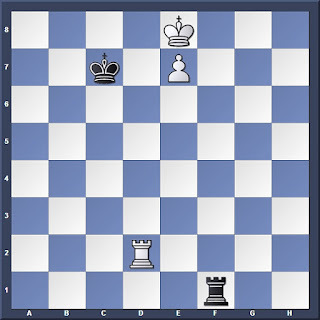 In rook endgames, we know that a Lucena Position is a theoretical win. At least, that’s what we learn in chess theory. "I thought my days of rook endgames were over!" So if you are playing Black in the above position, will you resign the moment the Philidor appears on the board? Simply because your theoretical knowledge tells you it’s not defendable? Against an experienced veteran, I might. But against a young club player? I wouldn’t. I know the Lucena Position is a theoretical win, but the opponent may not (he might even be contemplating a draw offer since he can’t seem to make progress!). So I would dig in and play something like 1… Rf3, keeping his king boxed in. Only after he has chased away my king with 2. Rc2+, followed by the critical move Rc4, would I be convinced that he knows his endgames, and that all hope is lost for me. Unless your opponent’s name is Bobby Fischer, he/she is as human as any other chessplayer out there. Unlike engines, humans make mistakes. So if you can create as much problems as possible for your opponent in a game, chances are he/she is going to slip up somewhere and blunder. 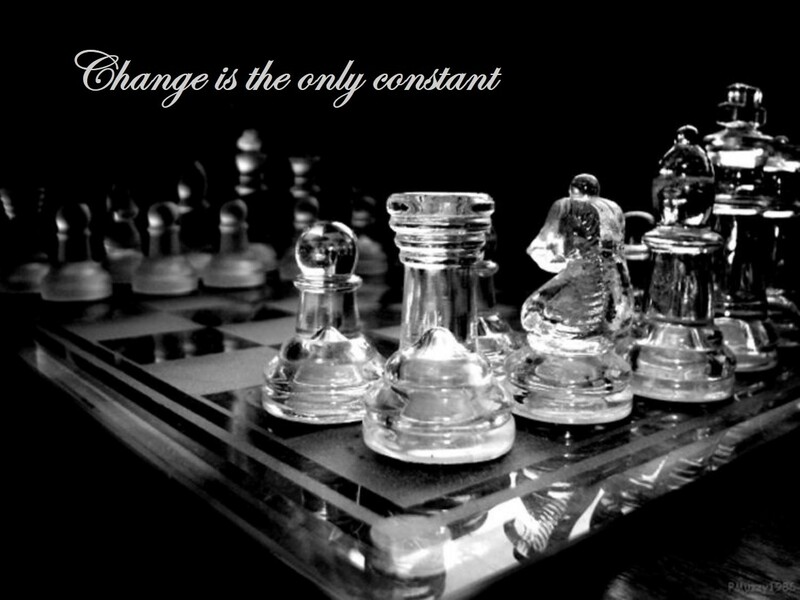 This is why when we first learn chess, we are taught to fight to the end instead of resigning. At the beginner level everyone is prone to blundering, even in winning positions. This is also why at top level play, Grandmasters tend to resign after a simple mistake such as losing a piece. 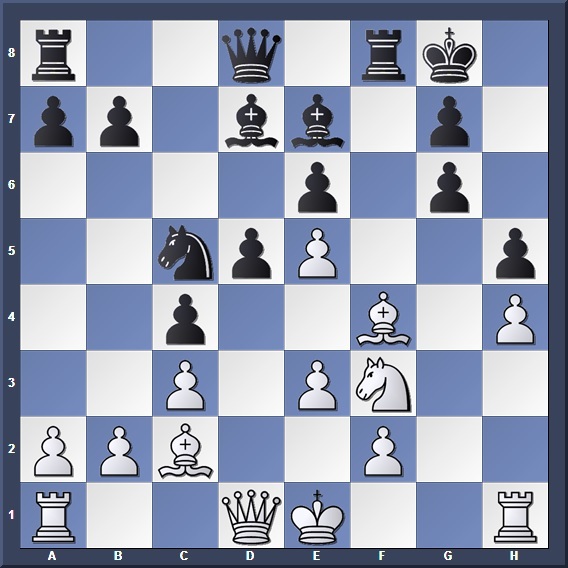 They are aware that their opponents know how to convert the advantage, even in tricky positions that will snag a weaker player. So might as well conserve their energy for the next game. If you’re still not convinced, I will use another example. 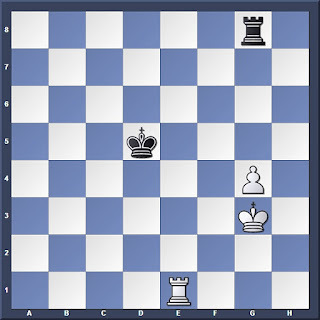 How many of you remember the theory of the rook vs rook + 4th rank pawn endgame? I covered it in a 3 part series a long time ago, and to tell the truth most of us won’t remember Black’s key drawing move 1… Kd6 in the knight-pawn scenario. Heck, we might not even recall how many ranks/files the enemy king must be cut off from the pawn in order to force a win. What we probably know though, are the general rules that the defender has a better chance of drawing if his king is on the shorter side of the board, and that he should keep his rook as active as possible. 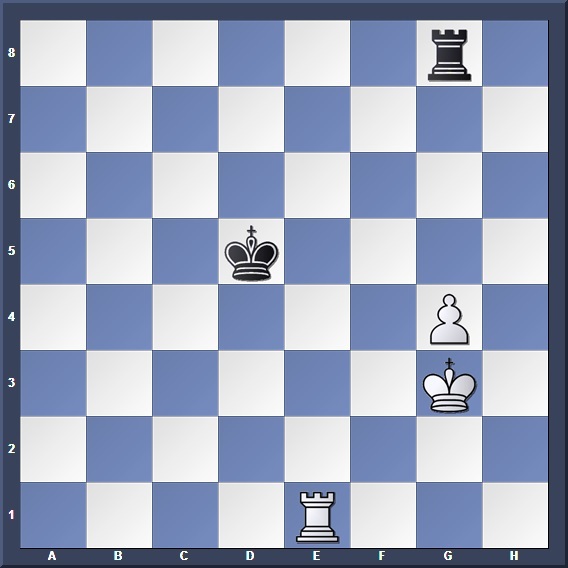 So if I am defending such an endgame in tournament play, I will simply get my king to the shorter side of the board if I am unable to bring him in front of the pawn. Then I will use my rook to watch the pawn, or unleash a checking barrage on the enemy king. Without knowing the critical moves it’s not going to guarantee a draw, but at least I can create problems for my opponent. With any luck he will be even more clueless than I am, and miss the key winning ideas, even if the position is a theoretical loss for me. Simply put, using chess theory to understand a game is not the end, but the means to an end. It’s not just about whose position is better. It’s about whether one can find a plan which can give the best possible outcome, regardless of whether he/she has the upper hand. So the next time you analyse your position and find out it is not going well for you, don’t be too dejected. Find out what resources you have, and use them to fight back! Who knows, your opponent may be unsure on how to convert his advantage, and eventually return it back to you. Just because it is a theoretical win for him/her doesn’t mean it is a guaranteed win. Chess players are humans. If no one makes mistakes, we would be living in a world where Stockfish and other silicon engines compete among one another, churning out perfect but boring draws. It is the very imperfections of man that make chess such a perfectly beautiful game.